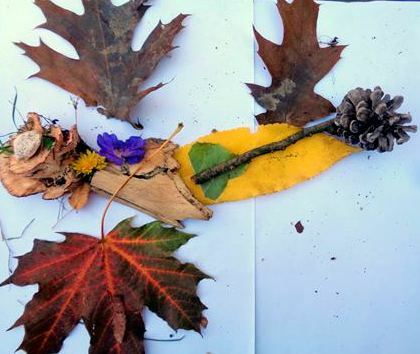 Young Learners: LIVING ENGLISH LOCALLY INSPIRED BY NATURE AND SEASONS - Vivre l'anglais avec Mira. I am lucky enough to live and work in a charming place which offers plenty of exciting opportunities to let my young learners explore both their neighbourhood and the English language all year round. Hurigny with its 2,000 inhabitants is located in the Mâconnais wine region in Burgundy. Every season here gives us many excellent reasons to live and breathe English while still in France. My adopted village keeps amazing us with its changing styles - from magically coloured autumn vineyards to a winter wonderland or to a sensory spring hunting area. 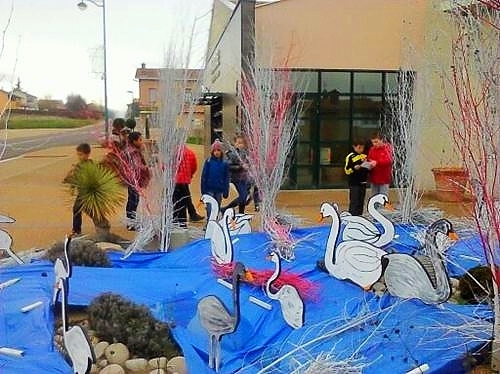 Mon village d'adoption nous surprend constamment avec ses métamorphoses - habillé en robe colorée signée Vignoble d'Automne, puis imprégné d'ambiance féérique hivernale, il se transforme en terrain de chasse aux trésors sensorielle au printemps. Autant d'occasions parfaites pour nos petits anglicistes en herbe de laisser entrer l'anglais dans leur monde. A great way to learn or recycle body parts, animals, colours, action verbs, nature words, materials, adjectives, etc. Young learners are always game for this kind of challenge - read and understand the clues, solve the riddles, show what they know and test their observation skills on our winter wonderland treasure hunt. 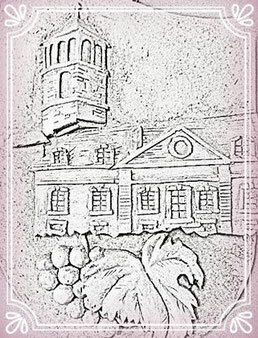 It is a perfect occasion to enjoy practising English in an unforgettable and enchanting atmosphere. 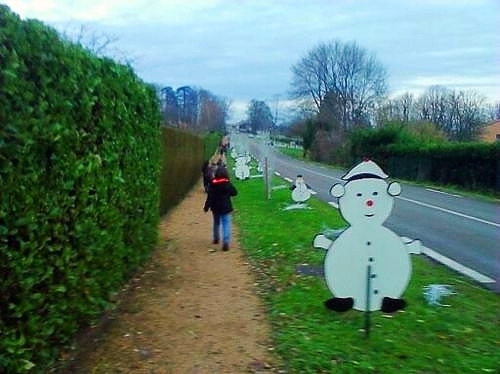 How extremely fortunate and proud we are to have such an amazingly decorated village every winter! 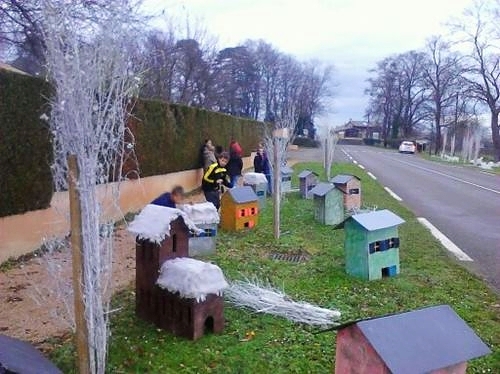 Un grand merci à Monsieur Furtin et aux employés techniques de la mairie pour cette ambiance de rêves! 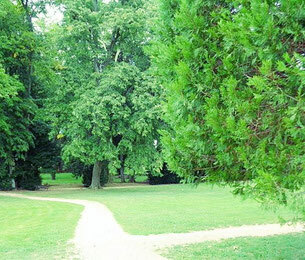 Our wonderful park offers many possibilities to enjoy springtime sights, sounds and smells. Discovering the signs of spring with our five senses is always fun and exciting. Our sensory walks in the park usually end with playing games like the scent challenge, vocabulary tag or I spy. Taking the class outside can be a bit challenging as it is a multi-purpose task. Apart from learning English and interacting with the world surrounding us, other skills are practised too - teamwork, observation skills, respect of timing, fair play, to mention just a few. It is a multisensory learning activity par excellence too - touching, smelling, hearing, seeing, feeling and (why not) tasting English words add new dimensions to the learning process and bring it to another, more dynamic level.